Complete Takes Volume 3, Drum/Percussion Sample from The Loop Loft. Complete Takes Volume 3 is a melting pot of Brazilian, Jamaican and Cuban rhythms with pop and rock drumming. It comes in at about 1.28GB in size. Complete Takes provides you with 3 full songs, including 10 individual tracks of drums and percussion recorded live at The Loop Loft. Each session clocks in at 3-4 minutes in length and is pre-arranged in a traditional song structure (intro, verse, chorus etc.). Drag and drop into your favorite DAW. 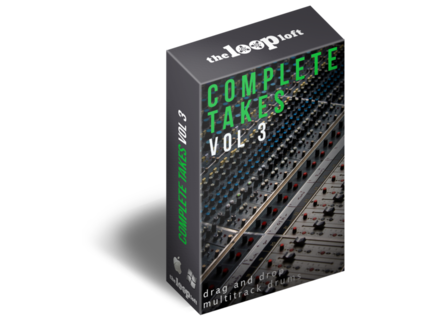 With the debut of Complete Takes 3, The Loop Loft is now offering the Complete Takes Bundle. 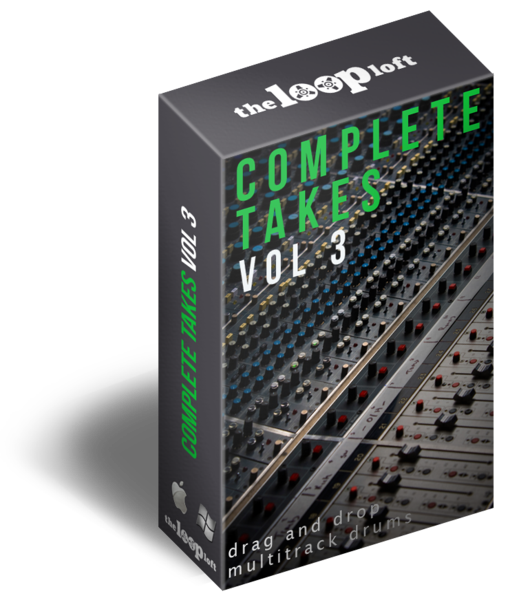 The Complete Takes Bundle gives you instant access to their entire line of Multitrack Drum Sessions, at a savings of 30%. Weighing in at a3.82 GB of 24 bit 48kHz wav files, the Complete Takes Bundle contains 9 separate Multitrack Drum sessions (each 3-4 minutes in length). For more information, visit www.thelooploft.com/collections/complete-takes. Cakewalk Sonar Upgrade Program Until June 30th, when you buy or upgrade to SONAR X1 Producer, Cakewalk will bump you up to SONAR X1 Production Suite. LSR audio LVLMeter LSR audio has released LVLMeter, a free stereo vintage level meter plug-in for 32- and 64-bit Windows and Mac OS X (VST and AU). MOTU Track16 MOTU introduced their new desktop audio interface, Track16.